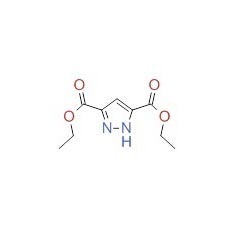 With the help of our experts, we are engaged in manufacturing, supplying and exporting premium quality of Diethyl 1H-Pyrazole-3,5-dicarboxylate. The offered product is prepared using advanced synthetic tools and techniques in compliance with international quality standards. In addition to this, our offered product is duly tested on various parameters before delivering to clients.